Proud Father Salutes His Police Officer Daughter Because She's His Senior! Every parent wants what they couldn’t have for their kids. They all have aspirations and dreams which they hope their children can fulfil and they try to do everything in their power to make it possible. DCP A R Umamaheswara Sarma takes it as a matter of extreme pride that his daughter Sindhu Sarma is his senior officer and he actually salutes her. He has been serving in the forces for three decades while his daughter joined the police three years ago. 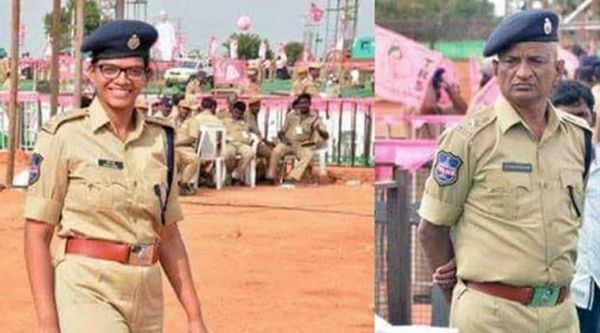 According to a news report in The Indian Express, Sarma is retiring next year and is currently serving as the DCP in Malkajgiri area under Rachakonda police commissionerate in Hyderabad while Sindhu is an IPS officer of the 2014 batch. 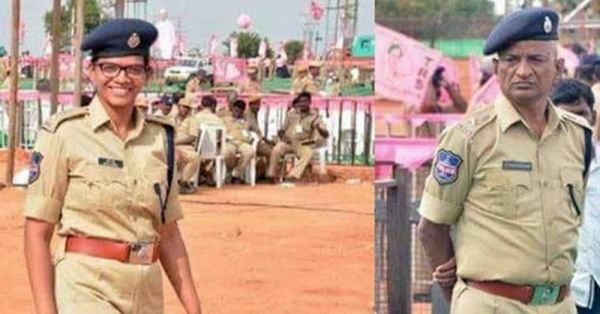 The two came face-to-face with each other while on-duty at the Telangana Rashtra Samithi meeting at Kongara Kalan near Hyderabad. “This is the first time we have come together while doing our duties. I am fortunate to work with her,” said the DCP. “She is my senior officer. When I see her, I salute her. 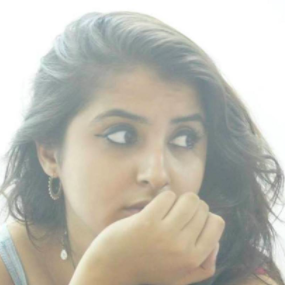 We do our respective duties and don’t discuss this, but at home we are just like any father and daughter,” told Sarma as he spoke with IANS. Let’s give a round of to the DCP for smashing patriarchal norms and being the wind behind his daughter’s wings.